What fun – we are going to have a Panel Party! 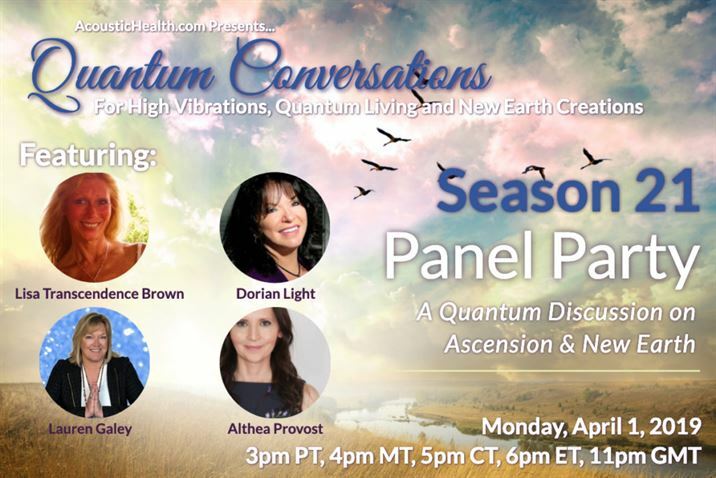 Hope you can join me and my very special guests on “Quantum Conversations Season 21 opening Panel Party” as we talk about “All Things Ascension”. In this fun and informal event, you will have an opportunity to ask your questions or share your experiences with the participating panelist and Light Tribe! Join us as we continue to take this journey into our “True Mastery”, “Divine Power” and “Divine Purpose”. Click on the video player below or scroll down to join by audio webcast!